November 1, 2016, Commercial UAV Expo, Las Vegas – Octopus ISR Systems (Europe) and SkyIMD (USA) signed a strategic partnership agreement. From now on, SkyIMD will be offering the Epsilon range of gimbals integrated into their FAA/EASA/ANAC certified pods for manned aviation customers; they will also distribute Octopus ISR Systems products and provide customer support for unmanned industry customers within the US. With Octopus ISR Systems products represented locally, US-based customers now have easy access to the latest technology and frontline performance gyro-stabilized micro gimbals such as the Epsilon 140. Additionally, an experienced partner such as SkyIMD will allow regional customers to take advantage of highly professional local support and integration assistance. “While Octopus Epsilon gimbals are broadly used in the UAV market, their performance, advanced features and attractive price-point make it an excellent value proposition for our manned aviation market. We are excited to partner with and include Octopus ISR Systems products in our FAA/EASA/ANAC Certified aerial platforms for manned aircraft, enabling us to expand our remote sensing and aerial imaging solutions for a wide range of industries,” says the CEO of Sky IMD Samir Rohayem. 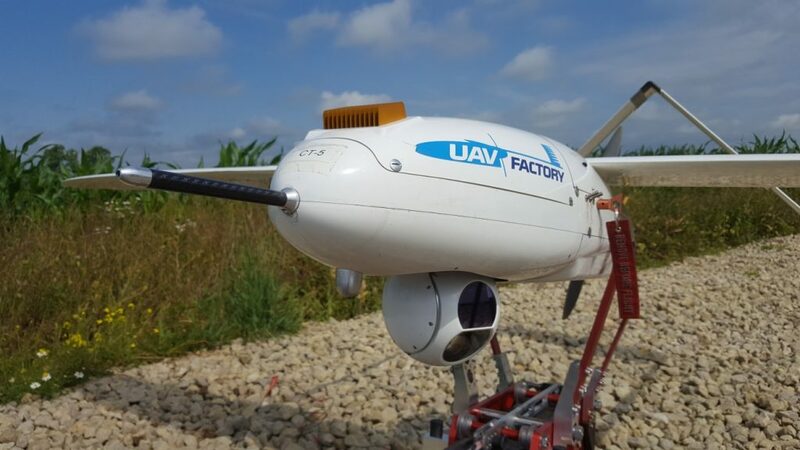 Octopus ISR Systems is a sub-division of UAV Factory, specialising in the development and production of Gyro-Stabilized Gimbals, IP Data Links, Tracking Antenna Systems and Portable Ground Control Stations. Relying on talented employees with a responsible and deliberate working method, Octopus ISR Systems delivers reliable products and high-quality services to help customers make their businesses more successful. SkyIMD, Inc. designs and markets remote sensing and aerial imaging solutions for manned aircraft. Its aerial sensor and camera platforms are approved for over 30 different aircraft and in over 55 different countries. This entry was posted in aerial imaging, UAS, UAV and tagged aircraft, gimbal, manned, UAS, UAV, unmanned. Bookmark the permalink.